December 14th in WordPress Themes by Wordpress Jedi . Every year that goes by, more designers and developers understand the importance of releasing responsive products to the market. With tablets and smartphones becoming more popular every year, more people will use those devices to visit sites in the future. Responsive sites will have a better chance of grabbing and keeping the attention of mobile visitors. Made: one of the most sophisticated magazine / review themes around. It has a ton of options and can handle all kinds of review sites. You could also use this for a classic magazine portal. 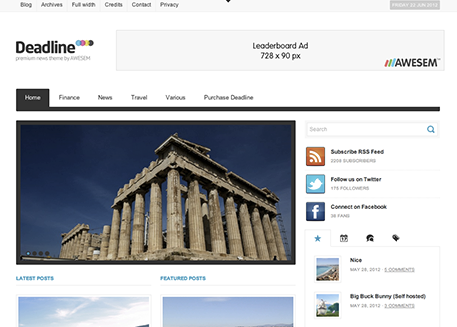 Goodnews: an elegant and highly responsive theme for WordPress. It features 20 custom widgets, 14 layouts, plenty of theme options, and Google fonts. 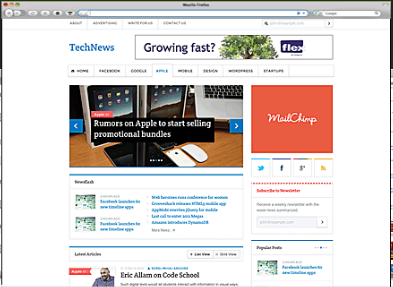 Max Mag: a beautiful theme for tech, news, and other similar types of sites. It has 50+ shortcodes, 15 custom widgets, and great typography. 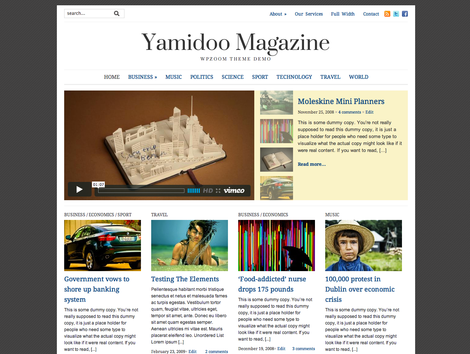 Yamidoo: an attractive magazine theme for small and more established sites. It has a sophisticated options panel and is easy to customize. 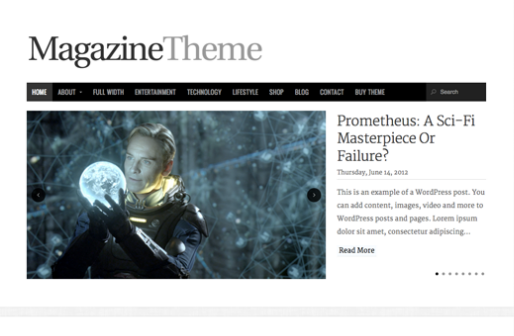 Magazine Theme: a fast WordPress theme by the folks at Organic Themes. This is powered by the Options framework. It offers custom header, background, navigation, and many other options. 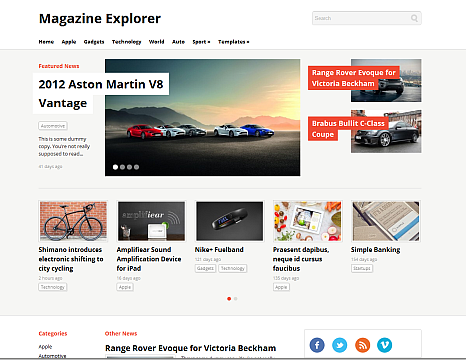 Magazine Explorer: another magazine theme with a ton of custom widgets and features. It is social media friendly. The options panel makes customizing this easy. 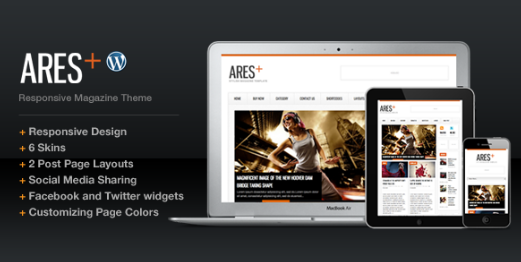 Ares: a clean blog and news template for WordPress. It has 6 menus/skins and 8 custom widgets. The theme is social media friendly too. 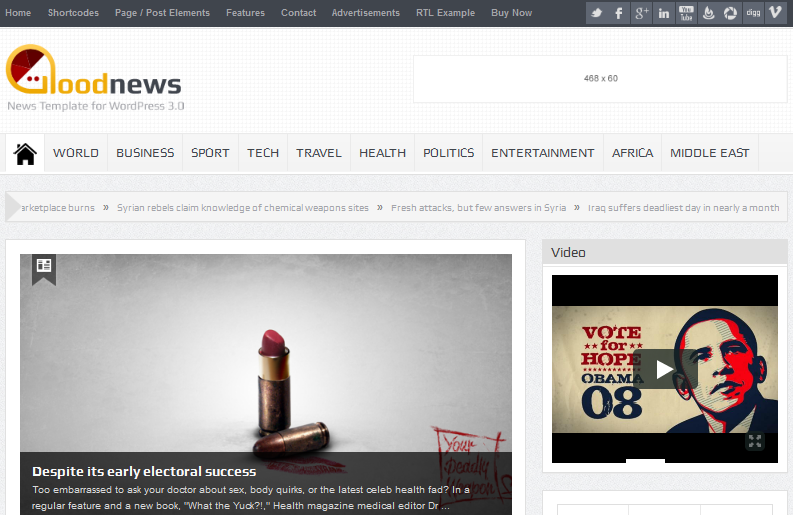 Tech News: this theme is developed mainly for tech sites but could work for other types of magazines as well. Deadline: Deadline is a responsive news and magazine theme. It has a fully widgetized homepage with custom widgets and various shortcodes. 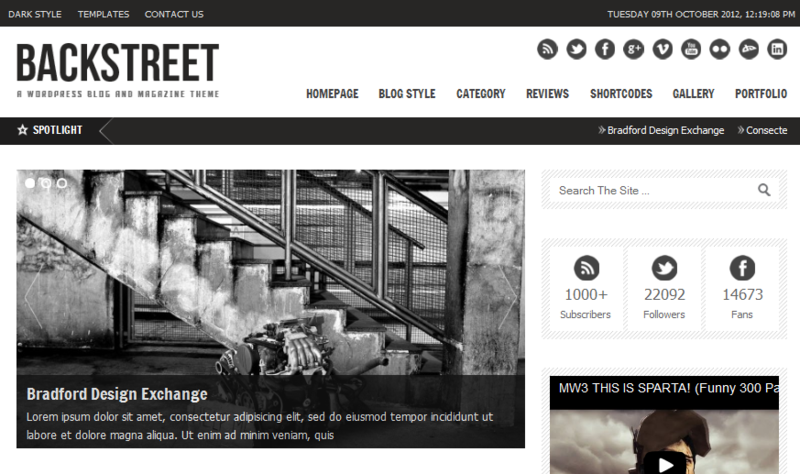 Backstreet: a responsive magazine, portfolio, and blog theme. It is audio and video friendly. You get 15 custom widgets and 10 custom pages. Have you got any theme suggestions? Please add them below.